SAN DIEGO --- On August 16th General Atomics Aeronautical Systems, Inc. (GA-ASI) flew a MQ-9B SkyGuardian Remotely Piloted Aircraft (RPA) from Laguna Airfield at Yuma Proving Grounds, Ariz., through National Airspace, to its Gray Butte Flight Operations facility near Palmdale, Calif. 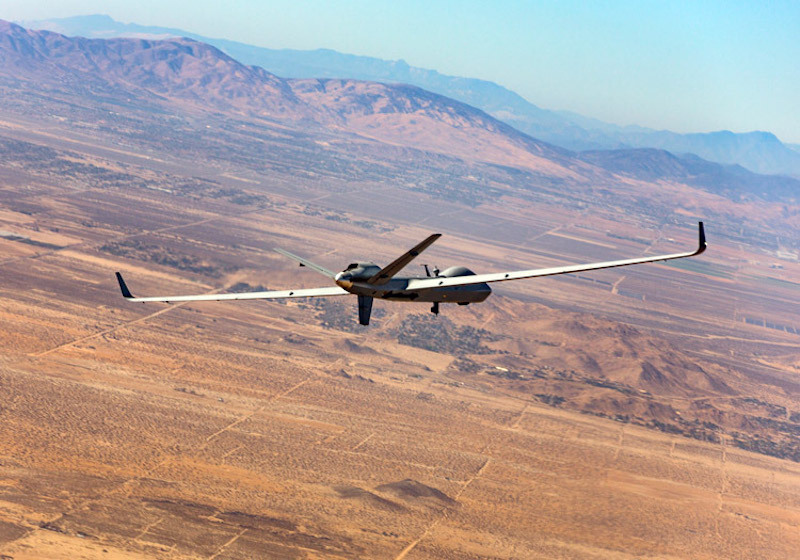 The MQ-9B is a STANAG 4671 (NATO airworthiness standard for Unmanned Aircraft Systems)-compliant version of the Predator B product line. The 275-mile trip lasted approximately one hour, 45 minutes and required FAA approval to fly through various classes of non-restricted airspace.